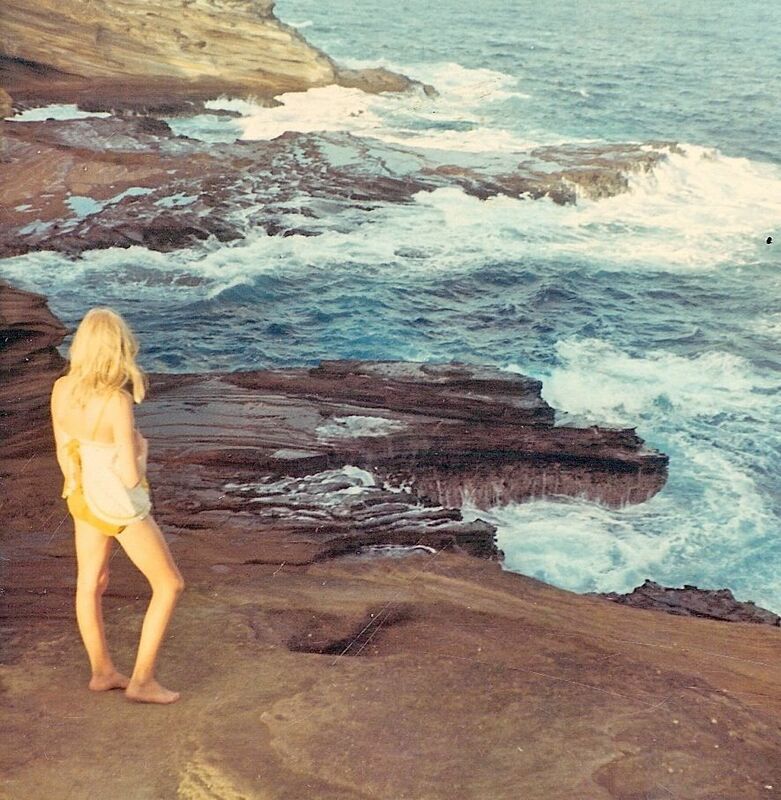 Looking like a duck in my yellow babydoll swimsuit in Honolulu, Hawaii, 1968. I may as well come out with it because it’s there. And if you look at me long enough, you’re bound to see a trait I first noticed when I was four or five and understood at thirteen. I didn’t think about it much at the time, but it resurfaces now and again to buoy a notion that my father was a swan, and I am a duck. To continue to read “On Reflection,” dive in and swim over to Tweetspeak Poetry. The water is roiling. The first thing that popped into my mind when you said your father was a swan was Yeats’ poem “Leda and the Swan.” Did you have this poem in mind? Tweetspeak is exploring the theme Swan, Swallow, Phoenix this month. When I learned about it, an imagine of my father swimming popped in my head, so only his memory was there when I wrote it. I thought about Daddy a lot when I was in Ireland because swans and ducks where everywhere. Plus, he loved Ireland and used to regale us with his travel stories. But I’m thrilled Yeats’ poem popped in your head when you read my piece. I wasn’t thinking of “Leda and the Swan” when I wrote it. May have to find and read again now (it’s been ages). Thanks, Shirley. Maybe your father was a swan, but you are an eagle! Love that picture, Darrelyn. Heading over there now…. I love this picture and these stories. Thank you for sharing! Thank you for stopping by, reading, and taking the time to comment. So many ing verbs. But I mean every one. Love you, C.